Eco-Friendly Features of HP Laser Printers | TonerGreen - Eco-Friendly Toners from the U.S.
HP laser printers are known in the market as reliable, versatile and fast printing equipment that is able to deliver excellent quality printouts that are perfect for business documents and printouts. But aside from their advanced features, Hewlett-Packard is also know for generating and looking ways on how to incorporate eco-friendly features in their laser printers. One of the most popular eco-friendly feature that HP introduced to its laser printers is the Auto-On/Auto-Off Technology "which save energy by turning on your HP LaserJet printer or MFP on when you need it and off when you don't. 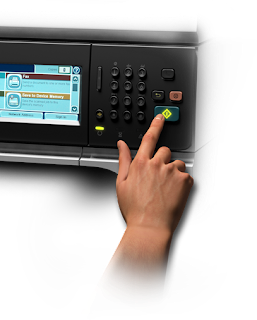 When you’re ready to print, scan, fax or copy again, HP Instant-on Technology puts the device to work right away to save the warm up power and time that other devices waste." HP Print Console - runs from the desktop of your PC. Control panel - offers easy access to settings from the front panel of your device. side of the page. This displays the Power Console. device is configured for its lowest power mode. The control panel provides the same capabilities as the HP EWS Power Console and the HP Print Console, but is organized in a number of menu structures. Menu layout and selection process will vary by product, but the same basic content will be available in all devices with HP Auto-On/Auto-Off technology. By following these steps, you can easily access your HP Auto-On/Auto-Off Technology and set it up on your own accord. 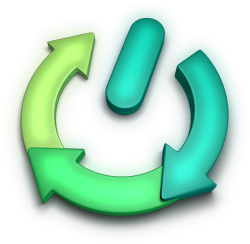 The HP Auto-On/Auto-Off Technology is surely a great innovation for users to start caring about the carbon footprint their laser printers cause and do something about it. If you want to help furthermore in saving the environment through your ways of printing then why don't you try switching to eco-friendly hp toner cartridges the next time you're printer's out of toner. TonerGreen offers a wide selection of eco-friendly remanufactured HP toner cartridges. TonerGreen helps you cut down your HP printer supply costs by offering remanufactured laser printer toner cartridges compatible with HP printer models. With TonerGreen products, you can save as much as 60% and help save our planet at the same time. Our in-house manufacturing facility ensures that our remanufactured HP toner cartridges are of excellent quality to match OEM standards.